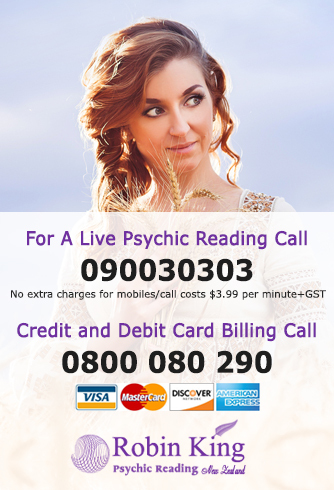 In this modern world, people are interested in phone psychic readings in NZ as it is an advantage to know about your future. There are two main ways to access and call an and receive a Robin King psychic reading. Either through our premium call service or our credit card line. Random chance is best when you are interested only in making a decision without involving anyone. If you were looking to find the best site then you must enter your required question on site after that click “enter”. If you are looking for a free psychic in New Zealand then you must follow some effective tips such as be specific. Try to select a psychic to chat too free of cost, register, and chat. According to studies, there are many types of phonepsychics readers. Such as astrology, cleromancy, palm reading, psychometry, and palm reading that can be helpful for predicting your future. Psychometry is when a reader acquires details about another via physical contact with the belongings of a person. This type of reader can ask a subject their desire and touch their meaningful objects. Including glasses, wedding rings and car keys for a reading. Basically, this kind of spiritual experience might not predict your future. How ever they might tell the list of the possibilities in your life. Receiving accurate answers will increase your self–confidence and after the end of the reading. You might be excited about the possibilities and futures which life has given you. Psychic reading is one of the best ways to validate your thoughts, make sense of the things, used to move on and inspire you so try to choose the best reader. Click on our reader’s page and choose who you would like to call. Then register with their portal so then you will be connected you with the physic which you chose. Have your call charged to your telephone bill with our premium call service. Simply enter the pin of one of Robin Kings trusted Readers once prompted on your call. $3.99 per minute + GST. Your call can be charged securely to your credit card. We accept most major credit cards, you will need to be the credit card holder or have the credit card holders permission. $3.99 per minute + GST. Qualified and dedicated clairvoyants get recognition and satisfied clients throughout the nation by providing accurate answers to your problems. If you are willing to identify the number one clairvoyance service online, then you can take note of unbiased reviews of services from every experienced clairvoyant in New Zealand at this time. You will be amazed at the overall quality of services and encouraged to take advantage of the best psychic services on time. As compared to confusing a lot of happenings in recent times and thinking about what would happen later, you can contact successful clairvoyants and get the best services without compromising any aspect of your requirements. We aim to inspire everyone who uses our services and to help them gain great insight into the spiritual world. Call one of our powerful psychic Clairvoyants, readings in NZ today! Mention the word New Zealand Psychics Are Awesome and receive a 10% discount on your reading or a free five-minute consultation. All our powerful readers in NZ have reached the highest level of training in the market and are always available for your call. Our power readings will give you a massive insight into your love life, your financial world and many other areas of need. Most of our readers are well trained in horoscopes and are able to identify where your zodiac sign. We also specialize in astrology and are able to make accurate predictions over the telephone. Our call rates are $3.99 per minute with no extra charges for mobiles. You must be over 18 years old and over. Have the credit card holders permission or phone owners permission to call our lines.